It is often that we do not think of our gutters when we think of things that we have to prepare for an upcoming storm or winter weather; however, clogged and/or sagging gutters can become even more damaged with the weight of snow and ice and can lead to costly home damage. Here are some tips for preparing your gutters for an upcoming storm. First and foremost, you want to make sure that your gutters are clean and free of debris. 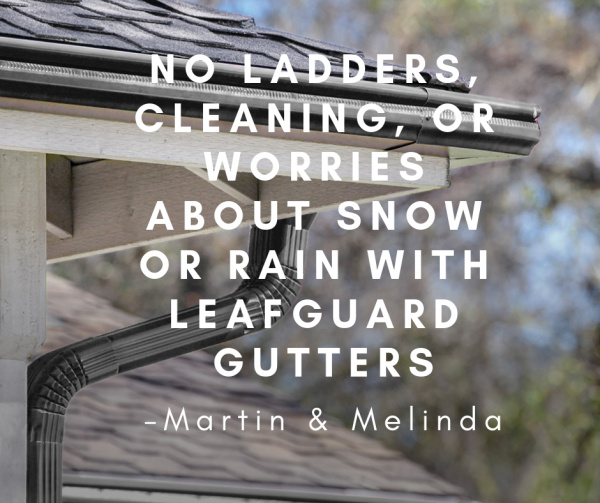 Make sure to inspect your gutters for wear and tear. Check for structural damage, examining your fascia board, siding and foundation for signs of rotting, staining or other related damage. Check your downspouts to ensure that they are pointing away from your home and foundation. It might be time to install maintenance and clog free Byers’ LeafGuard Gutter system. We interviewed a client who purchased Byers LeafGuard gutters 17 years ago due to damage the snow caused his open-top gutters. If you realize that it might be time to install maintenance and clog free gutters, we would love to come out and give you a free estimate, just give us a call at 530-272-8272!